December is finally here!! Time For some Christmas DIY!! Actually, I started my DIY Christmas decorations two weeks before Thanksgiving but who is counting . 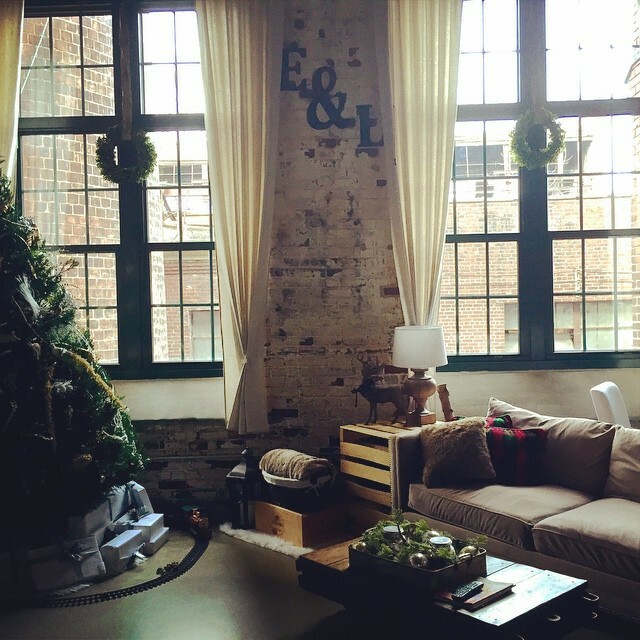 Since we are moving next year, I can’t go too crazy in our little one bedroom loft, but I certainly have a few things to add to this year. 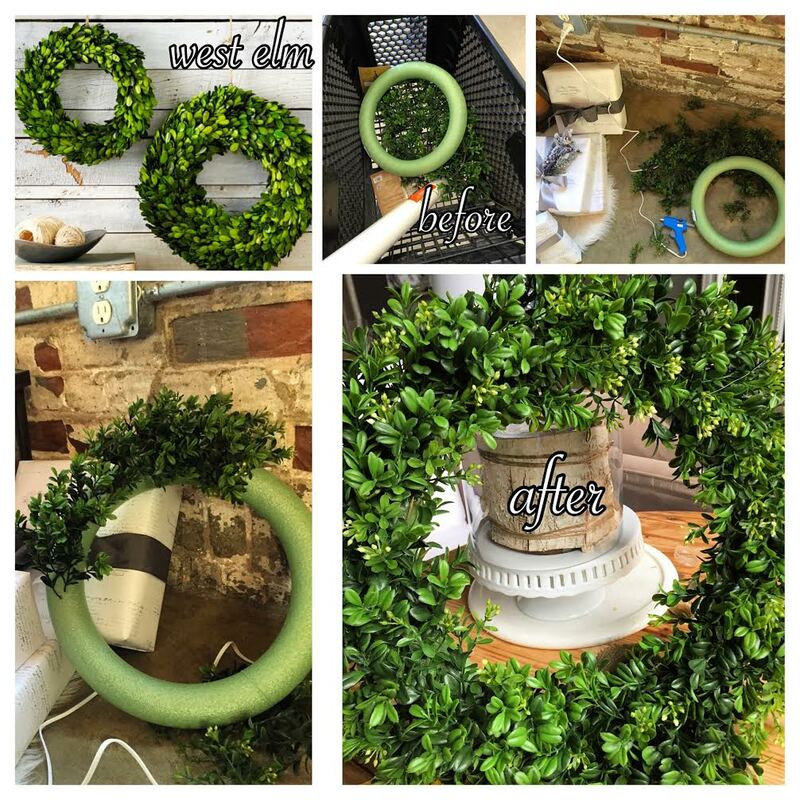 First up… boxwood wreaths! I love them! I love that you can use them in spring too. If you want real ones, Trader Joes has them for $9.99. I need ones that will last, and I was certainly not paying $79.99 at West Elm They also have ones at Target for $39.99 , but they weren’t really the shape I was looking for. So THANK YOU MICHAELS for being the only place I could find boxwood garland that wasn’t sprayed in glitter! 6. Bark, Ribbon, or Hook to hang. Step 1: Cut all the stems and I mean all of them of your garland! 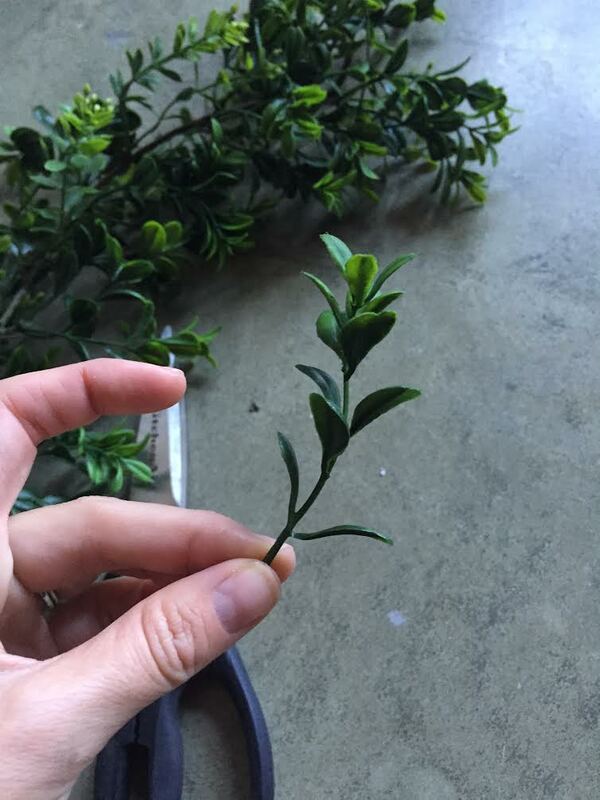 If you glue them in bunches, it looks really sloppy. Step 2: Use toothpicks to punch holes in foam wreath. 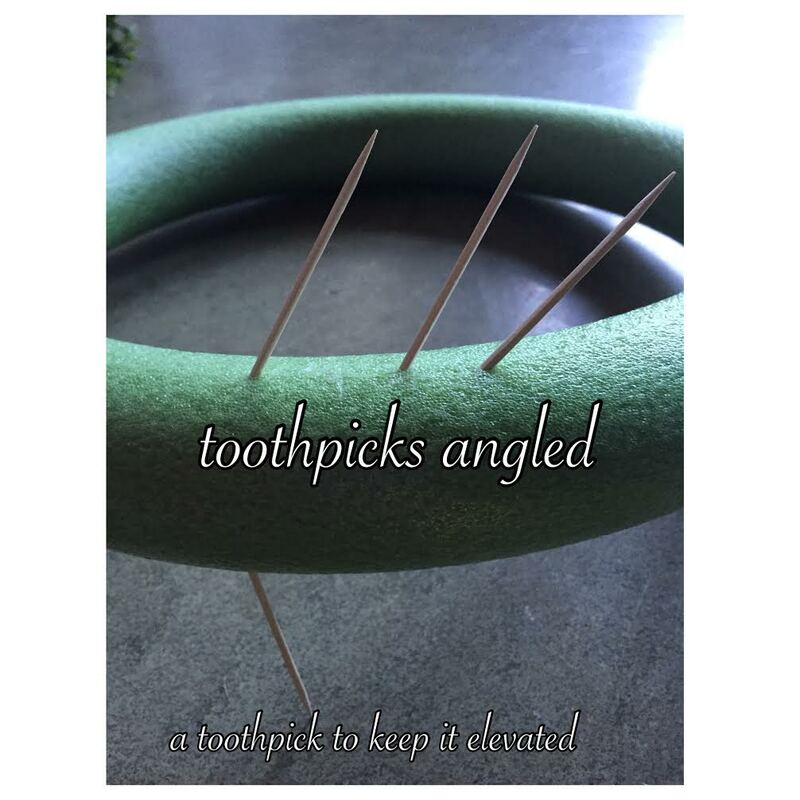 I angled the toothpicks. Step 3: Use hot glue at the end of your stems. Step 4: Replace toothpick hole with stem. 2. If laying on a window or door, you really do not need to fill the backside of the wreath. 3. 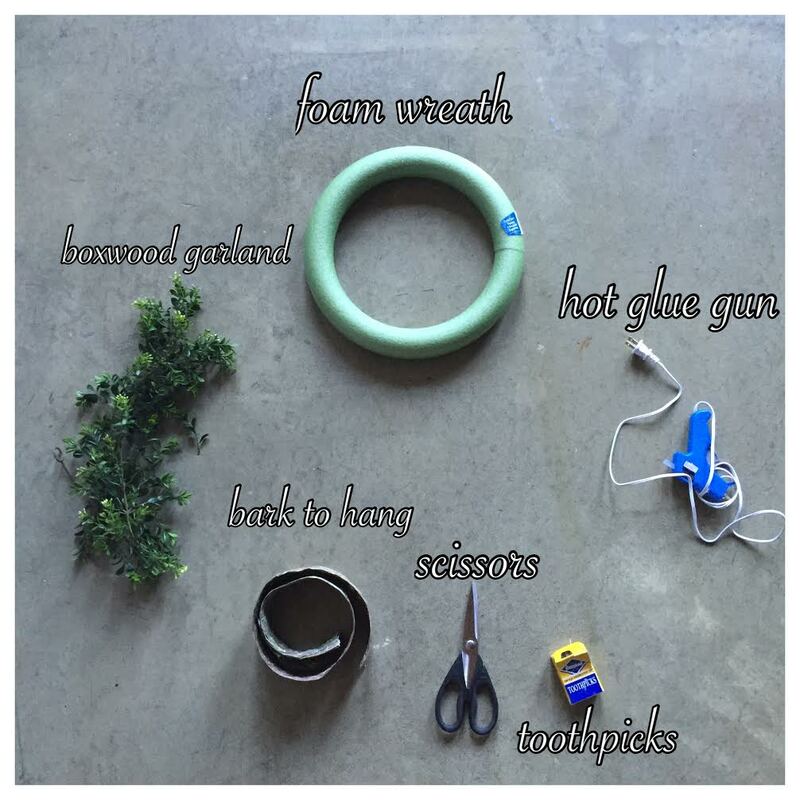 I believe you could use a flat foam wreath to save money and time but it may not look as full.